ISIS claimed a series of bombings in two Syrian regime bastion cities on Monday, killing more than 140 people. Attackers set off at least five suicide bombs and two devices planted in cars, the Observatory said, the first assaults of their kind in Tartous, where government ally Russia maintains a naval facility, and Jableh in Latakia province, near a Russian-operated air base. The Observatory said 145 people were killed in the attacks by at least five suicide bombers and two devices planted in cars. State media said 78 people had been killed in what is President Bashar al-Assad’s coastal heartland. The Observatory's head Rami Abdel Rahman said the scale of the attacks on the two cities was "unprecedented". One of the four blasts in Jableh hit near a hospital and another at a bus station, while the Tartous explosions also targeted a bus station, the Observatory and state media reported. State television broadcast footage of the damaged bus station in Tartous, where charred mini-buses lay on their sides while others were still ablaze. The two cities targeted are both strongholds of the regime of President Bashar al-Assad -- whose family hails from the village of Qardaha, just 25 kilometers east of Jableh. They have been relatively insulated from the war raging in Syria, which has killed at least 270,000 people since March 2011. Pictures circulated by pro-Damascus social media users showed dead bodies in the back of pick-up vans and charred body parts on the ground. ISIS claimed the attacks in a statement posted online by the group's Amaq news agency, saying its fighters had targeted "gatherings of Alawites". Syria's Information Minister Omran al-Zoubi said in an interview with Ikhbariya that terrorists were resorting to bomb attacks against civilians instead of fighting on the frontlines, and vowed to keep battling them. Damascus refers to all insurgents fighting against it in the five-year conflict as terrorists. Bombings in the capital Damascus and western city Homs earlier this year killed scores and were claimed by ISIS, which is fighting against government forces and their allies in some areas, and separately against its militant rival al-Qaeda and other insurgent groups. 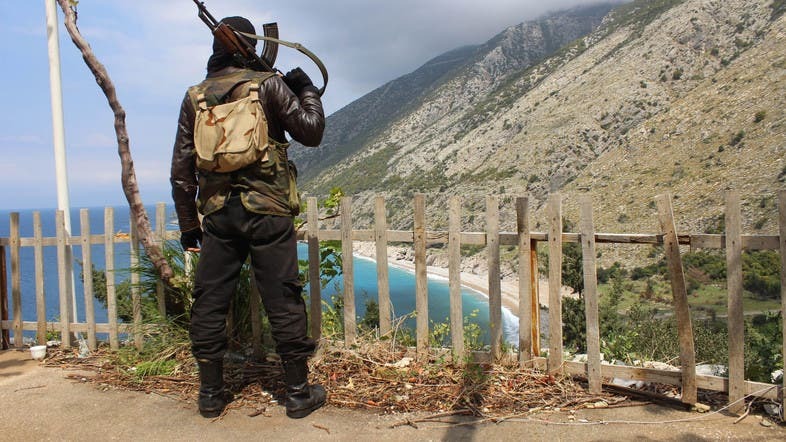 Latakia city, which is north of Jableh and capital of the province, has been targeted on a number of occasions by bombings and insurgent rocket attacks, including late last year. Government forces and their allies have recently stepped up bombardment of areas in Aleppo province in the north, which has become a focal point for the escalating violence. Insurgents have also launched heavy attacks in that area.